when trying to generate a Google Sitemap for an existing entry in Magento make sure to check that the sitemap ID generated is set correctly, i.e. not equal to 0 (zero). Still, it’s strange that no error message was displayed when creating the first sitemap entry through Catalog / Google Sitemap. Has anybody else experienced this behavior? No. This way it is not solved. I checked file permission too. Any other alternate way? did you check system.log and possible exception reports in var/report? Please remove the website link from the comment. Hello, the link was removed. I had the exact same problem for my dashcams store. 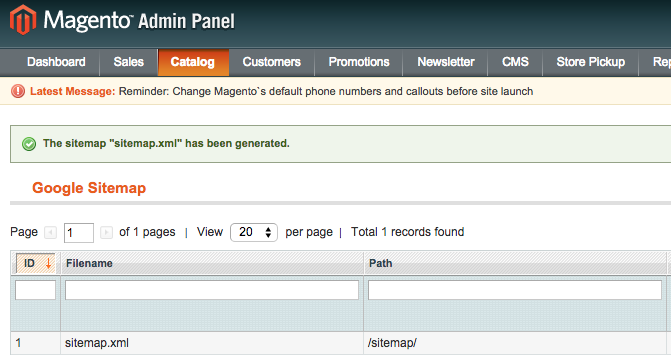 Magento was returning error saying “Unable To generate Sitemap” . First of all i did database maintenance. 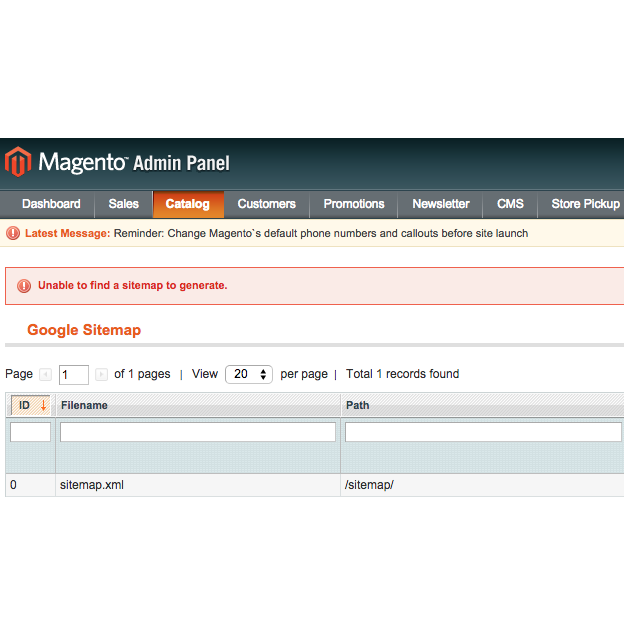 you can google for a tutorial on how to run magento database maintenance. 2nd i went to System > Configuration > Developer and Enabled Log in Log settings. This log file gets stored in var/log folder. I tried to create sitemap again and error log was created. checked log and found that it was SQL error for on of extensions which i had already uninstalled. I went to app/etc/modules . I opened .xml file for that extension and replaced word “true” with “false” . It switches off the extension. i cleaned cached i.e. deleted everything inside var/cache folder. then i tried sitemap generation again and it worked. i didall this via cpanel.